This topic contains 5 replies, has 3 voices, and was last updated by Paul 2 years ago. I just installed this theme over at https://hcstaging.wpengine.com (p/w protected), cloned the data from our live blog, and although the home page loads just fine, individual post pages do not load at all. Please let me know which @mauer.co email address I can send the site and admin credentials to so you have a look at what’s causing this issue. Thanks! Let me take a look a this. Please send the credentials to (wrong address here). Thank you. This reply was modified 2 years ago by Paul. Thanks, Paul. I just emailed you. 1.My website is http://www.mygeloofstorie.co.za and i see that the theme only show 2 columns and not like its on the preview how do i change it. so that i see the big image on top and 3 columns with the rest of the content. 2. and on the home page how can i only show the title and image and not all the content that are loaded on the post. In case you don’t know where to find the User Guide: Go to https://themeforest.net/downloads. Find the theme and click ‘Download’ > ‘All files & documentation’. Download and unpack the zip file. The User Guide will be in the ‘Documentation’ folder. Automatically create excerpts. If enabled, post excerpts will be displayed on archive pages even when there are no ‘more’ tags or explicitly provided excerpts. Excerpts length (words). Controls the length of the automatically created excerpts. By default excerpts are 30 words long. If “Automatically create excerpts” is disabled, the “Excerpts length (words)” setting is still used to control the looks of the search results page. 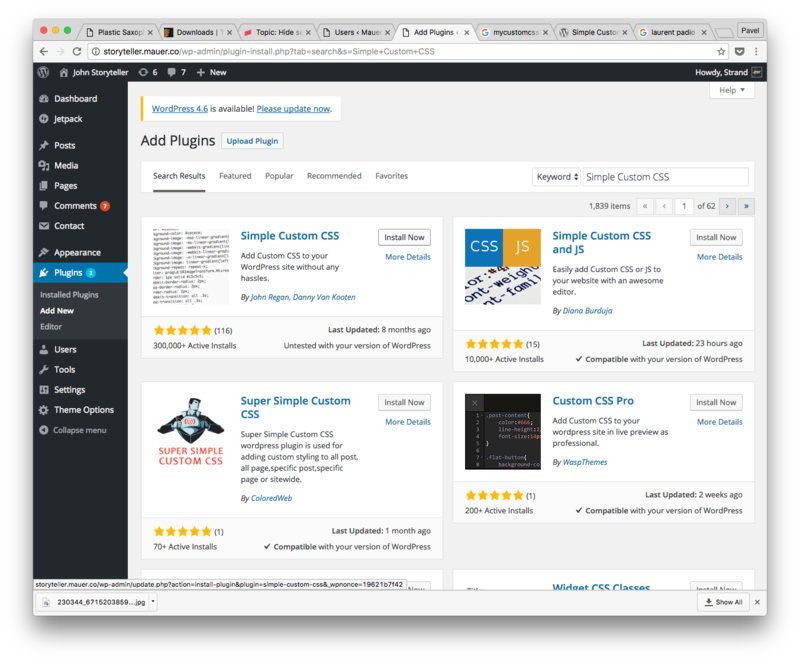 Once you have installed and activated the plugin, in your Admin Panel please go to ‘Appearance’ > ‘Custom CSS’, paste the above code (the one you chose) and save. The topic ‘Fresh install // pages not loading’ is closed to new replies.